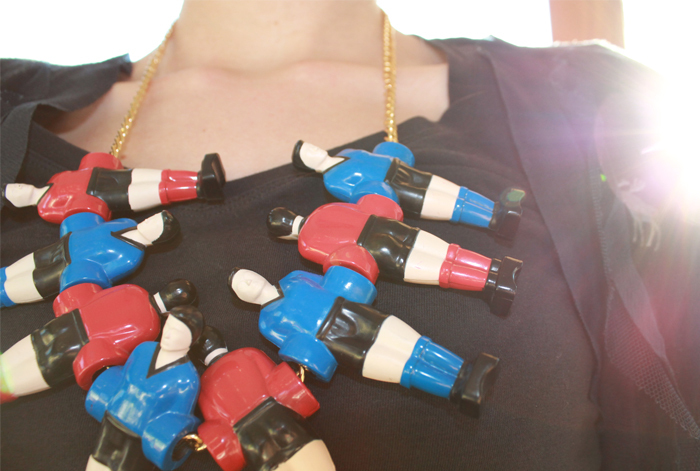 New necklace made of the dolls of a table football! Wow! 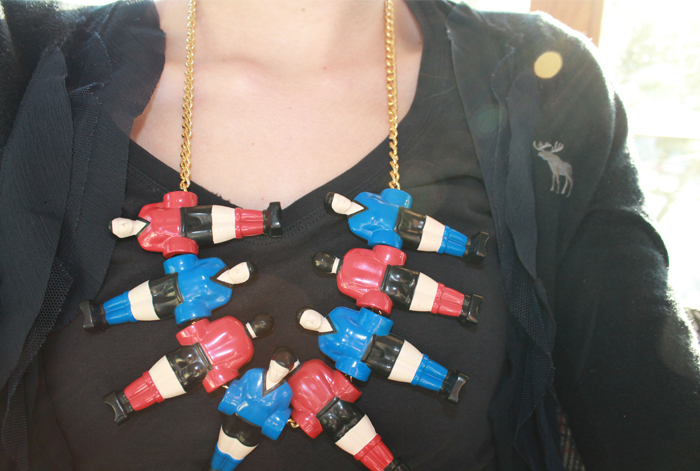 Funny necklace, gorgeous idea! Wow, really amazing necklace! 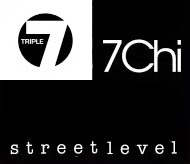 This would make any boring tee looks amazing!